This is a lovely refreshing drink that can be enjoyed at any time of the day. The crushed ice and fresh mint work really well, though ice cubes can be used instead. Slice the ginger in thin slices, and place in a saucepan with 1.2ltr water and bring to the boil. Remove from the heat and add the mint and tea bags and allow to infuse for 20 minutes. Strain the liquid into a large jug and add the honey and lemon juice, stir to combine. 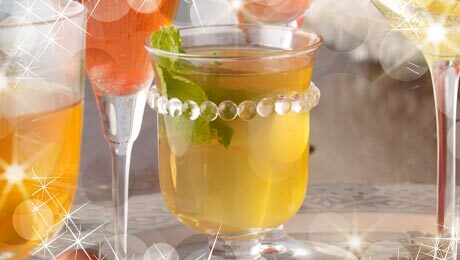 Serve in long glasses with crushed ice and a sprig of fresh mint.